The much-awaited upgrade in the Ethereum blockchain was re-scheduled again because of some serious issue found in the Ethereum network that hackers can use to create a loophole to enter the network and steal user's money. 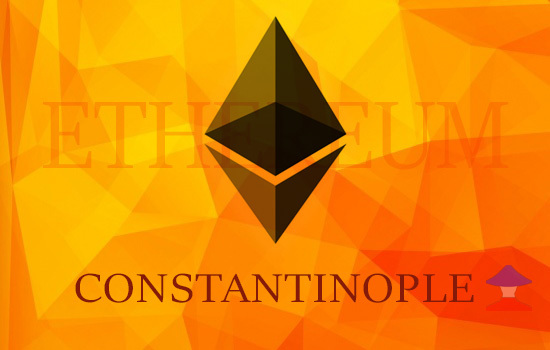 Ethereum Constantinople is the fifth upgrade in the ETH blockchain. Constantinople is a system-wide upgrade which was planned to be implemented on January 17, 2019. But the plan was postponed until end of February. The good thing about this upgrade strategy, they're not going to include the Ethereum Improvement Proposal (EIP) no. 1283. Because EIP 1283 is the protocol that might give a problem to the upcoming Constantinople hard fork in Ethereum blockchain. And this is also the reason of the delay. The ChainSecurity discovered a 'reentrancy attack' that could happen after the Constantinople upgrade. ChainSecurity said, "The upcoming Constantinople Upgrade for the ethereum network introduces cheaper gas cost for certain SSTORE operations. As an unwanted side effect, this enables reentrancy attacks when using address.transfer(...) or address.send(...) in Solidity smart contracts. Previously these functions were considered reentrancy-safe, which they aren't any longer." So now, the Ethereum core-dev team leader Peter Szilágyi tweeted the new schedule date of releasing Ethereum Constantinople hard fork. The Constantinople Hard Fork is now set to the new target activation at block 7,280,000, which is expected to happen on February 27, 2019. And according to a ETH developer, they suggested a “2-phase upgrade strategy to ensure compliance with the next planned hard fork by the entire network. This is because some miners have been using a false Constantinople blockchain, and will need to be cleanly upgraded. Comments or suggestions about "ETH Constantinople Upgrade Re-scheduled in February 2019" is important to us, you may share it by using the comment box below.